We introduced SoulTrackers to singer Candace Bellamy a few years ago with her wonderful album A Thousand Shades of Blue. And we’ve been following this expressive singer – who is also a physician! – ever since. She’s an amazing vocalist who regular graces fans in Austin, Texas with her unique ability to seamlessly move between genres – from soul to jazz to rock to blues – and shine in each. For the holidays this year, Candace has released her first full Christmas album, and it is everything we expected from Candace. With beautiful spiritual numbers like "O Come O Come Emmanuel" and the first single, “What Child Is This?,” to fun holiday tunes like "Santa Baby" and "Silver Bells," this is an album that hits all the right spots for us. Candace is never content to simply sing; she consistently reinvents songs to make them her own. 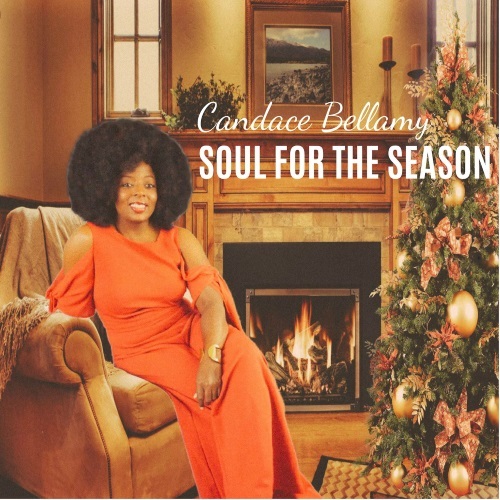 Check out Soul For The Season below and welcome back Candace Bellamy to SoulTracks!